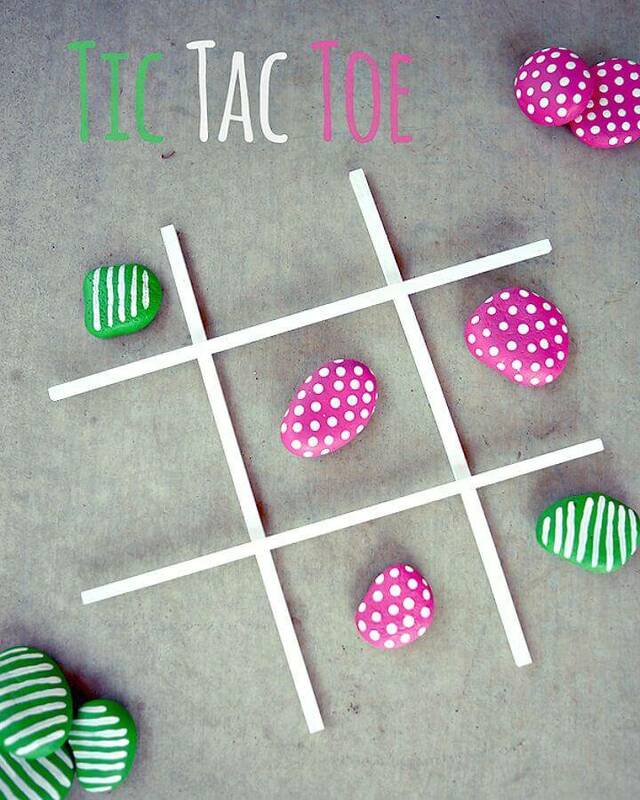 The tic tac toe is a great game that is often played on a board by the two members! 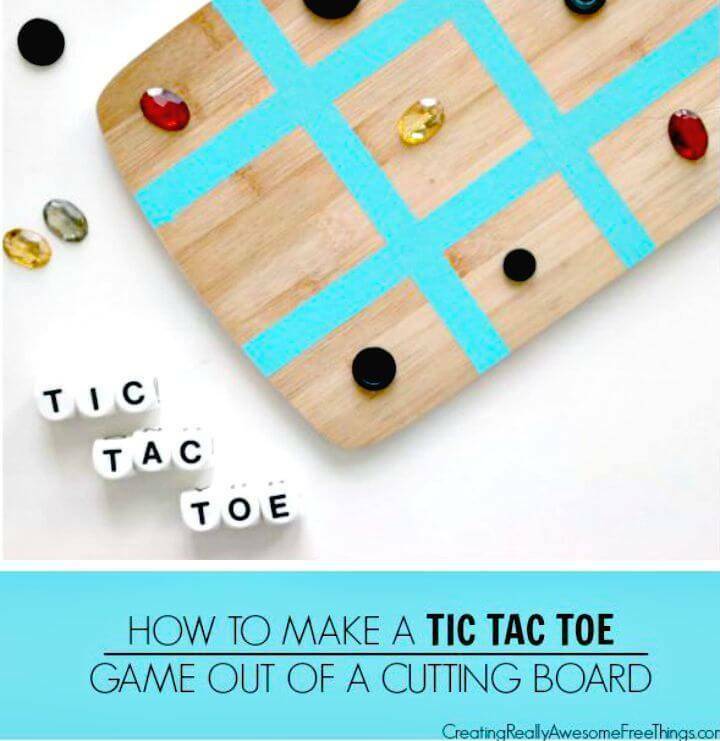 One can also print this game on a coffee table so the members can play it after finishing their coffees and next there would be the laughter everywhere around the table! 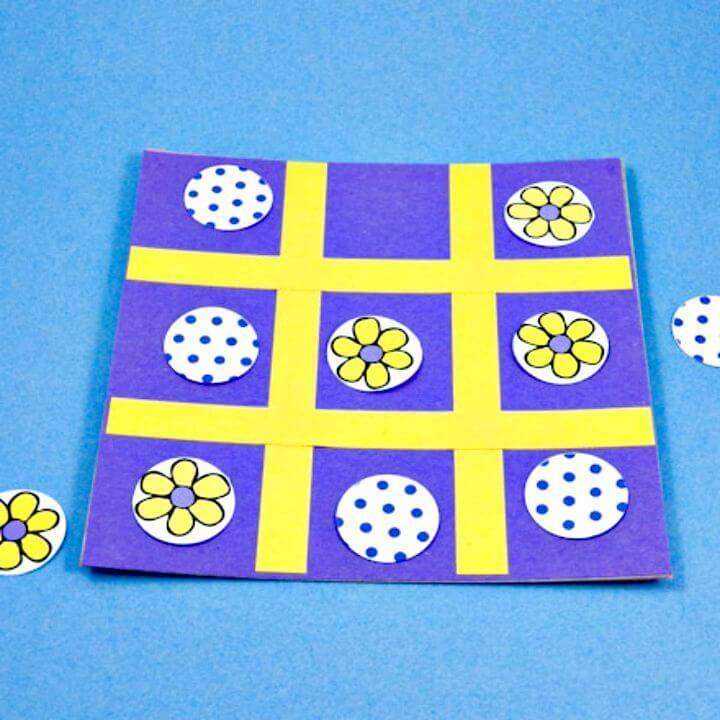 Here playing and making this fun game, is super simple and straightforward, all you need to is to create a board with nine equal squares and next you can choose 2 set of signs, symbols or letters and each set would be having three same looking signs or symbols! 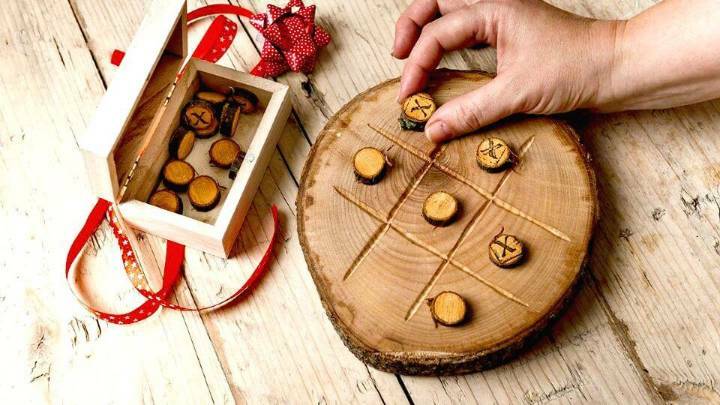 The member who first gets 3 of his symbols in a row, will win and this game can easily be played with the kids to make them busy in spare time and also to make them feel excited! 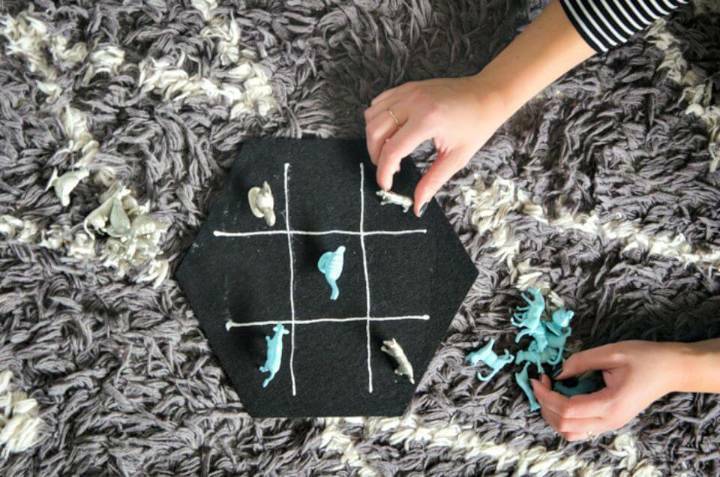 You can make this game using the different materials, and you can also make this game in any size you want! 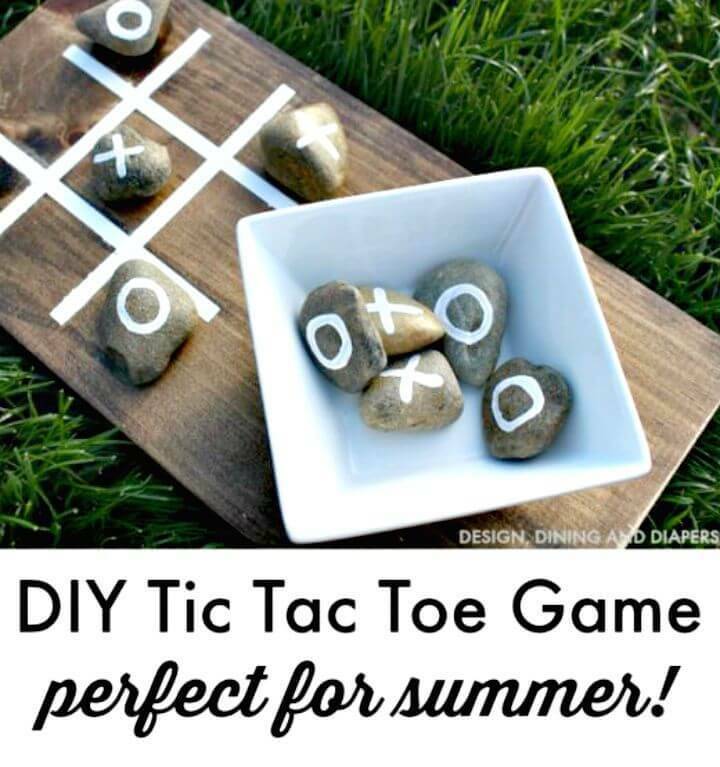 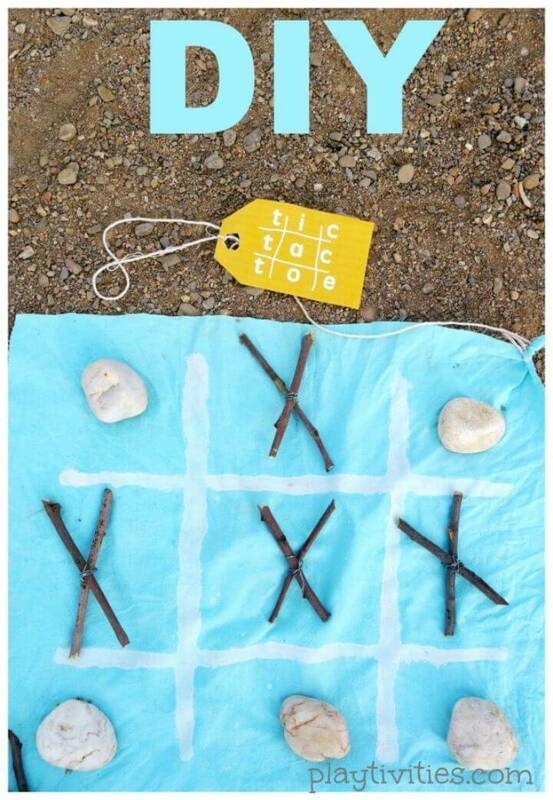 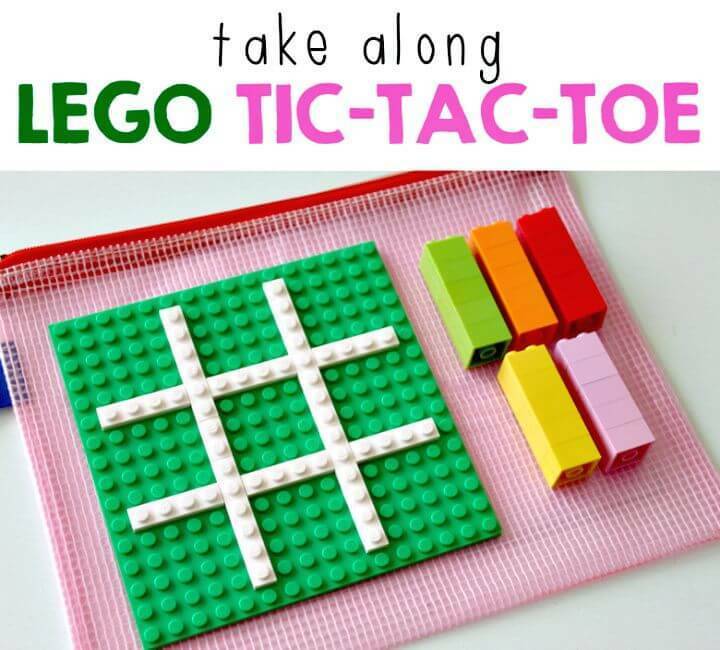 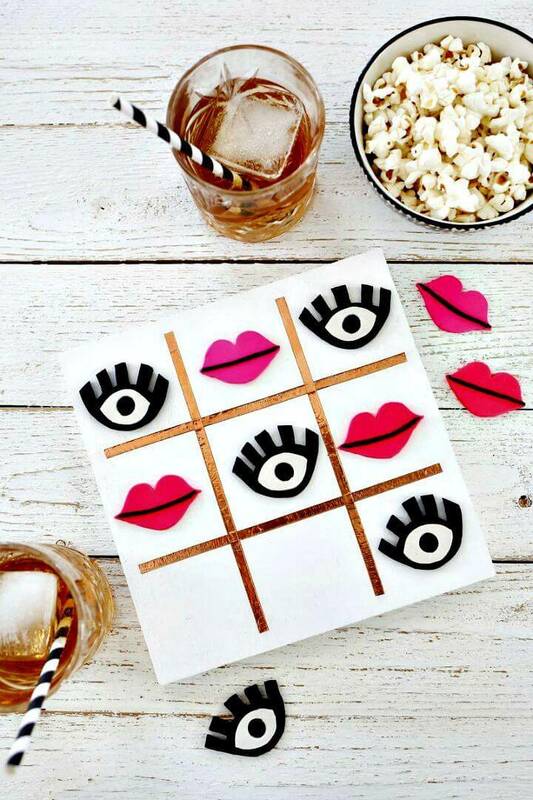 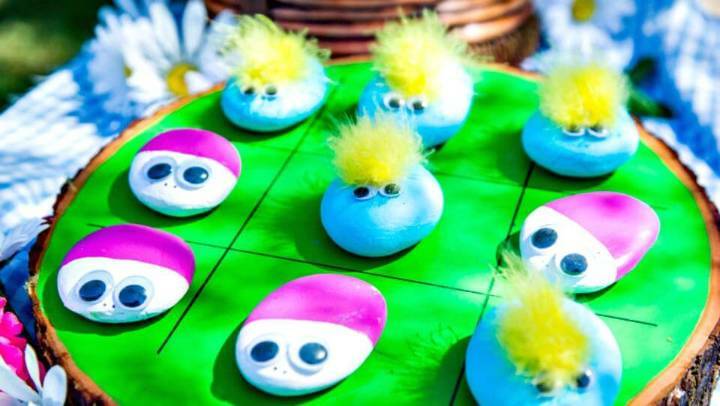 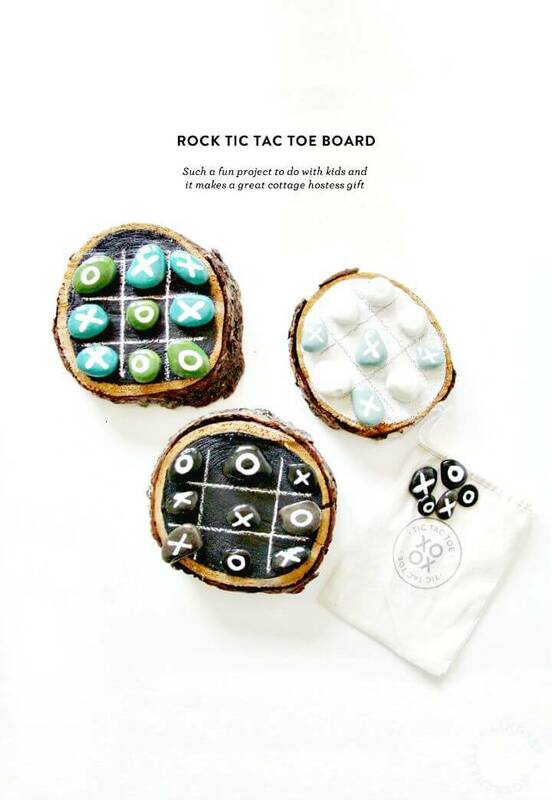 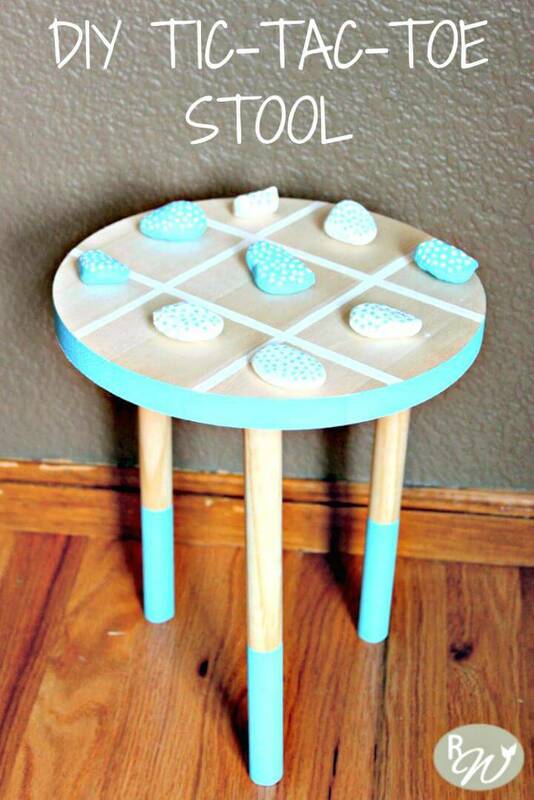 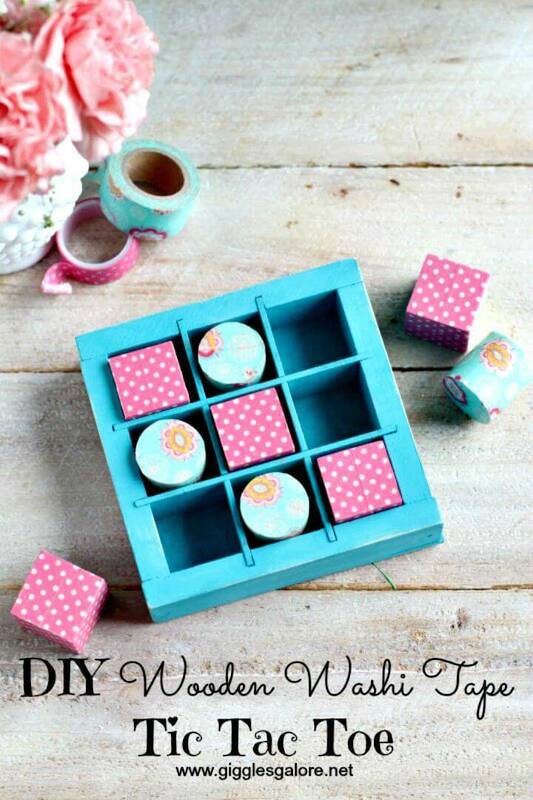 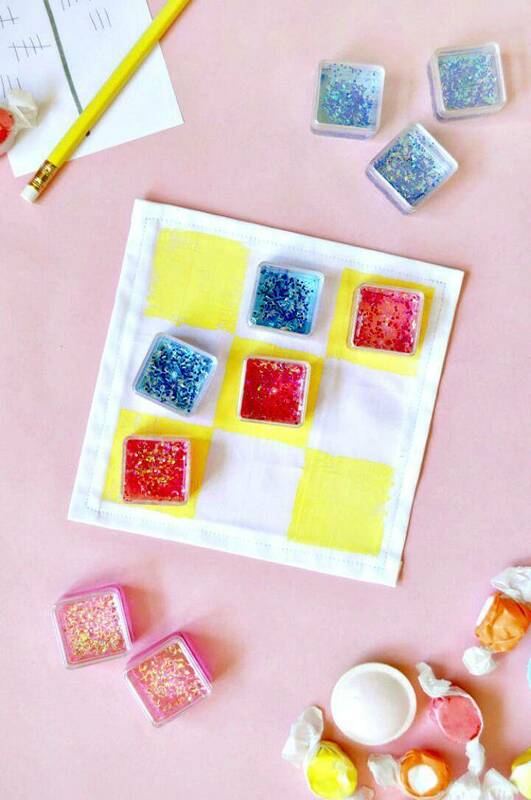 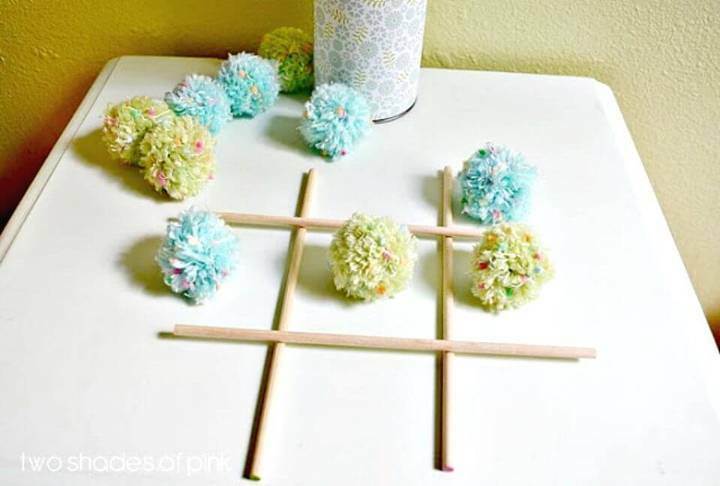 Just to make it super easy for you to make this kids game, we have gathered here these 40 DIY Tic Tac Toe game set ideas that will show the different methods to make this game at home and you will also be inspired by providing a big list of materials that can be used as the game symbols and signs! 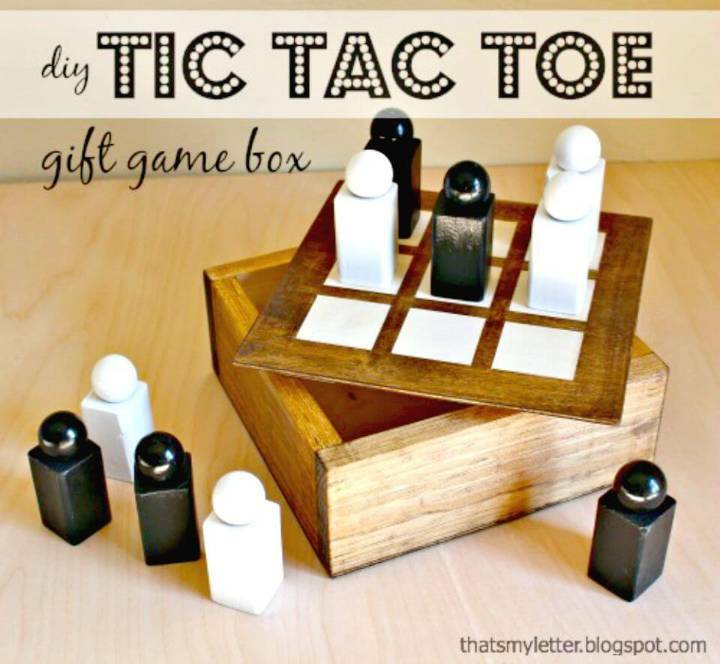 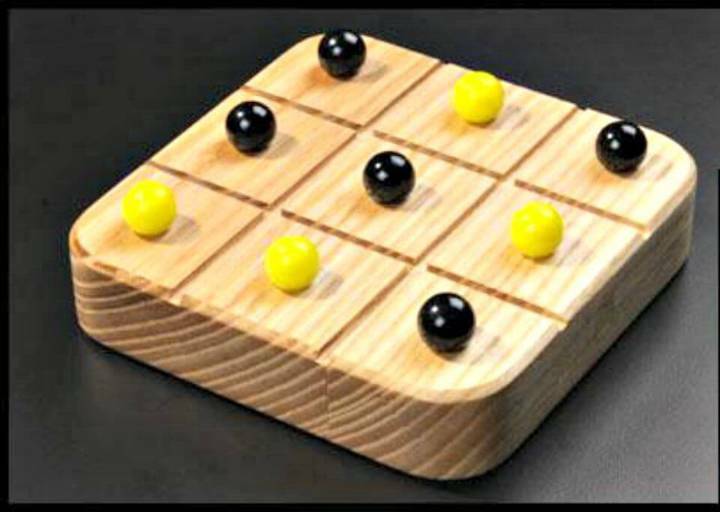 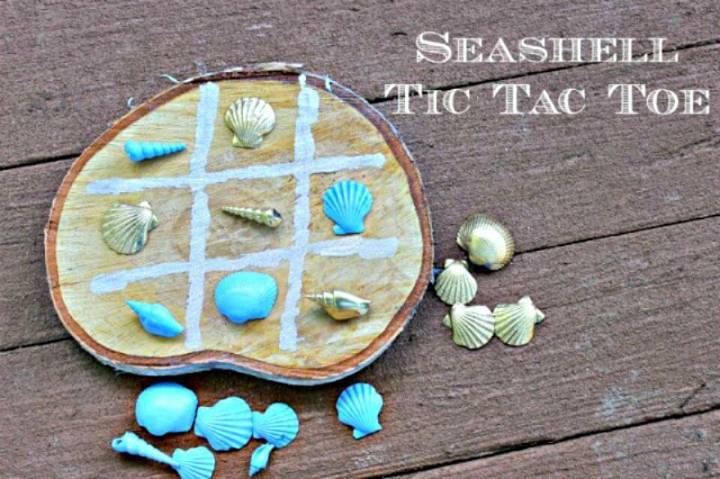 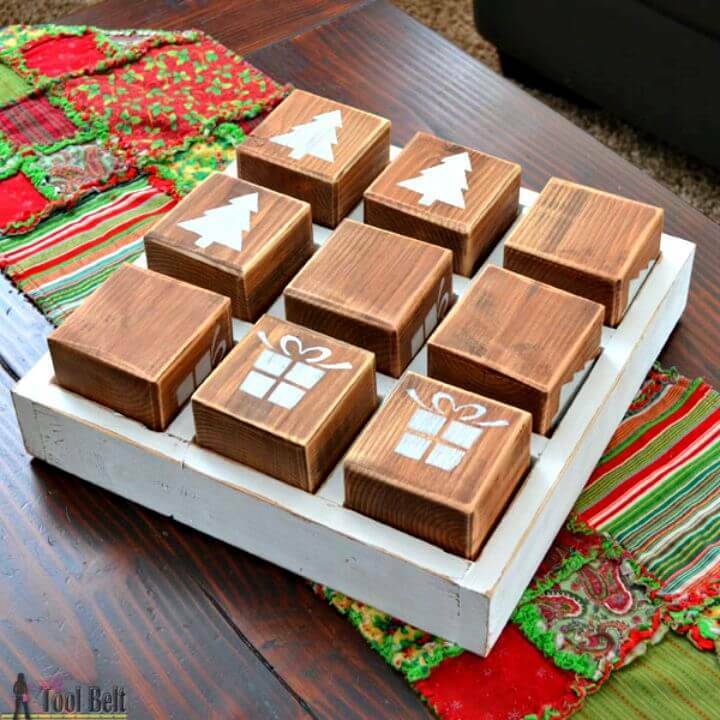 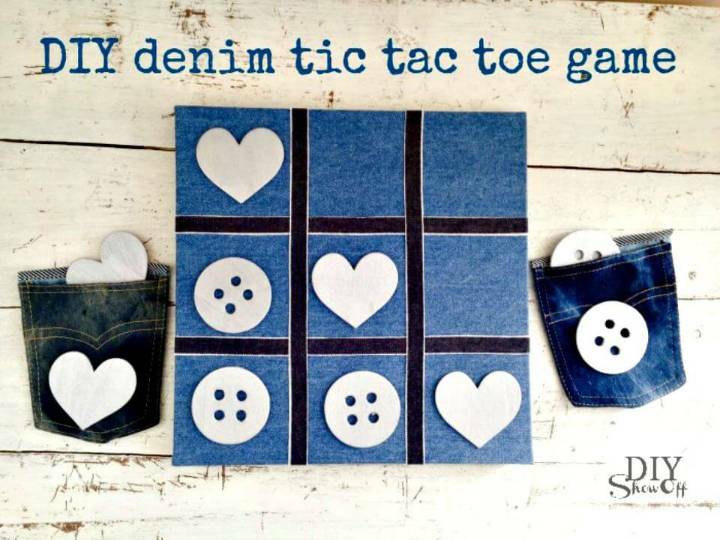 The very first thing would be a to gain the game board first, make a wooden frame like a photo frame and add dividers in it to make a 3D tic tac toe game frame! 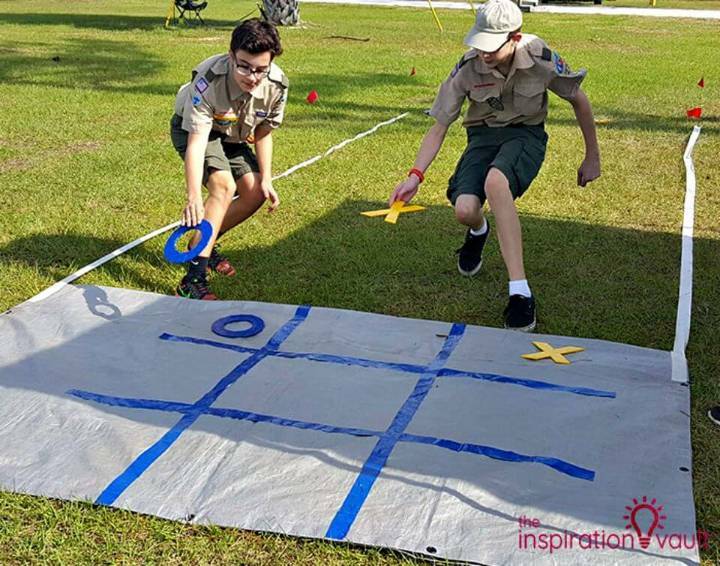 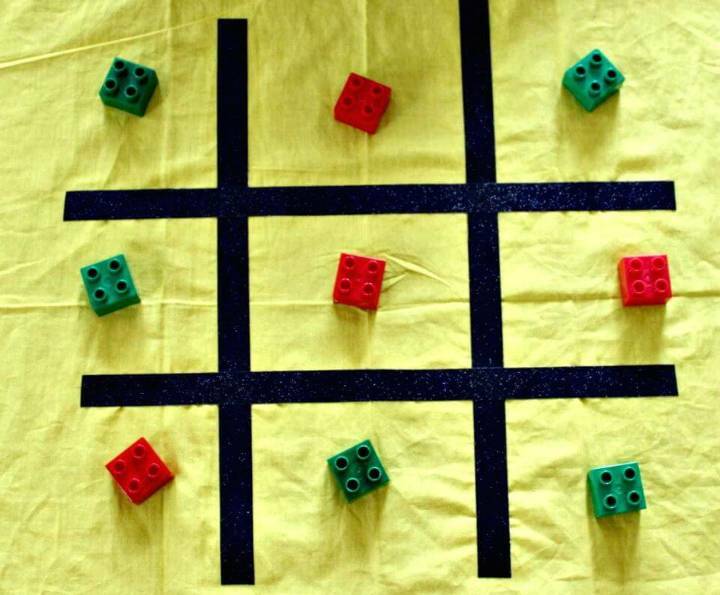 Make use of duct tape to draw some colorful lines on any flat surface to play the game and also pant the custom game squares on a square piece of fabric to make this game in no time! 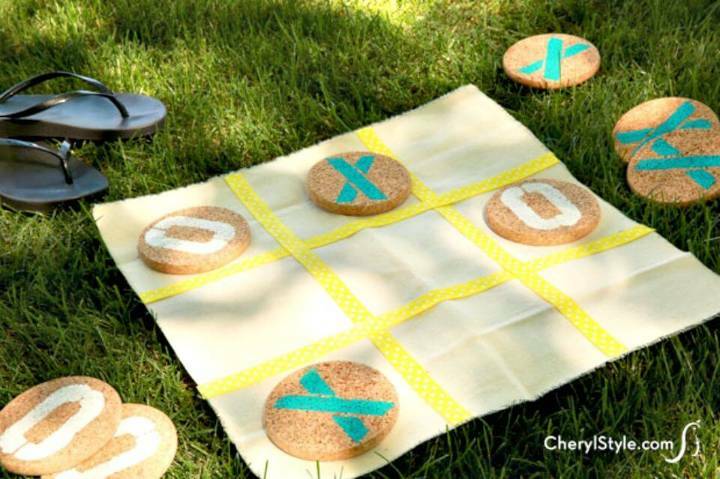 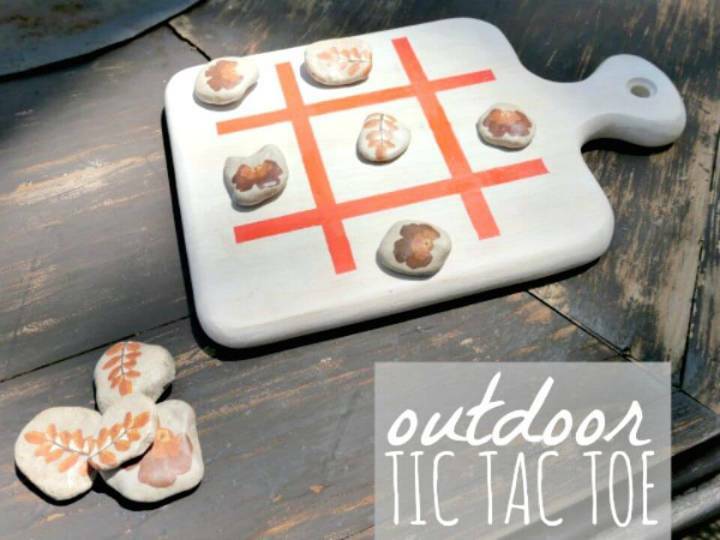 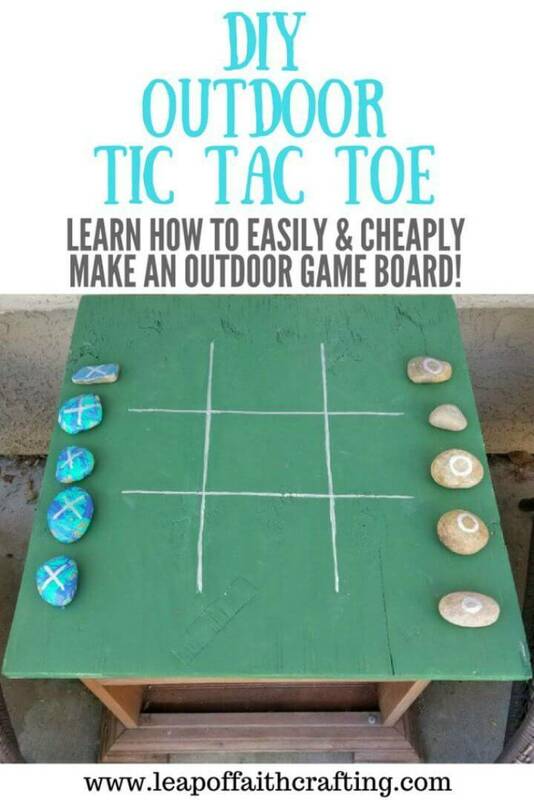 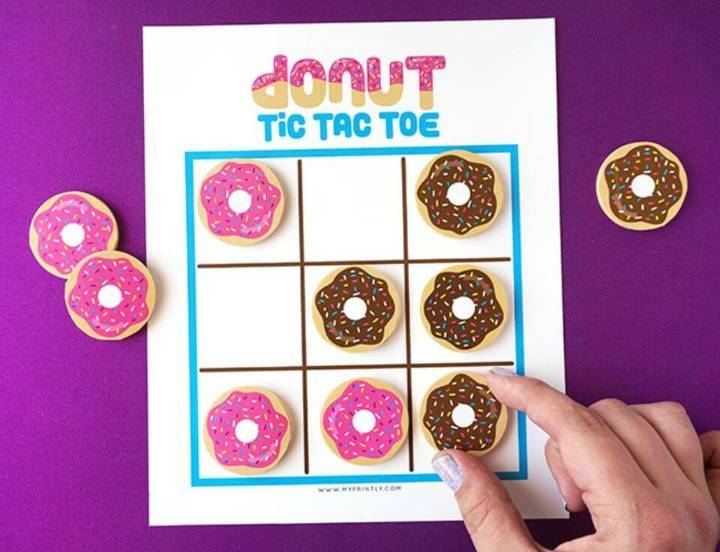 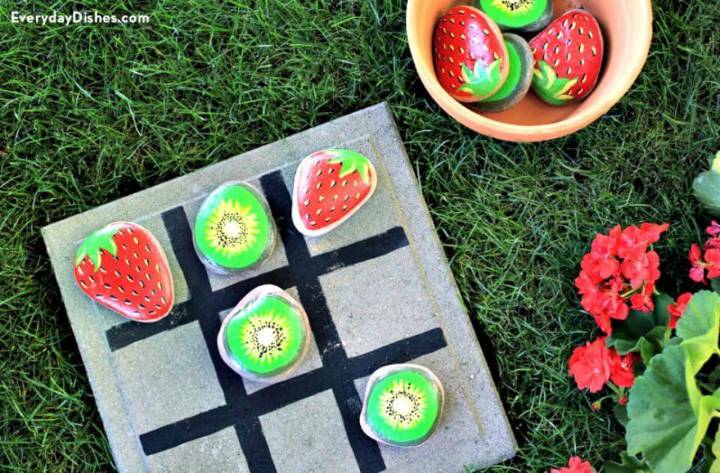 Grab a wooden slice and paint the games on it to make a stunning rustic tic tac toe game frame and also print out the whole game plot or pattern on a custom paper! 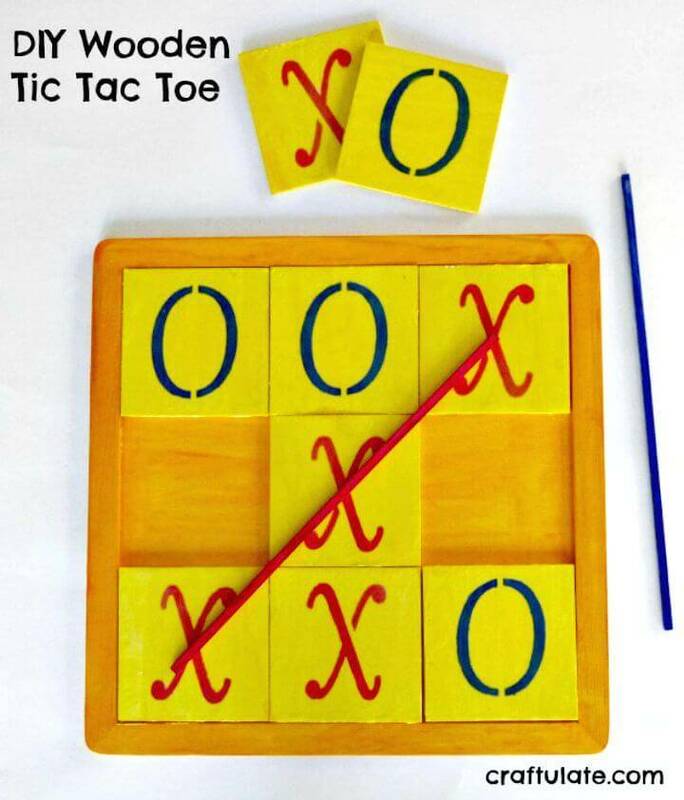 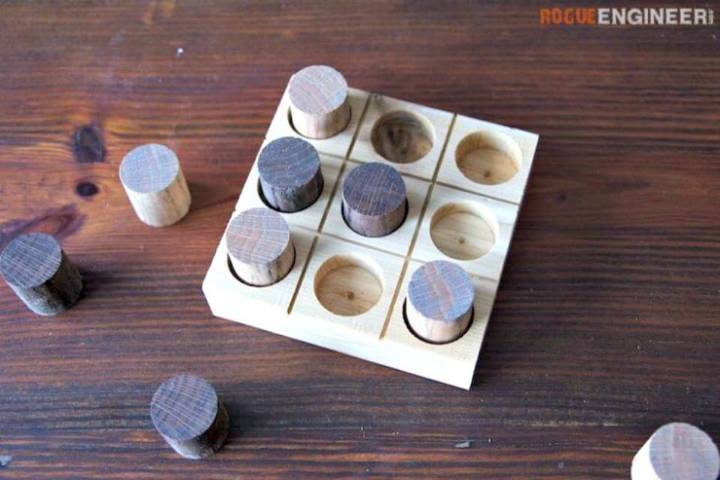 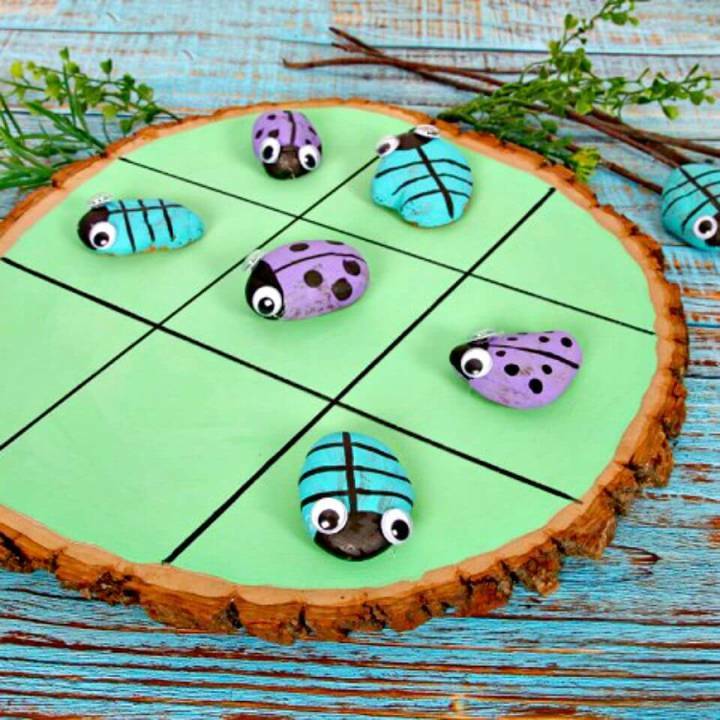 Next also grab the wood tile board with nine tiles that will make a ready-made tic-tac-toe game and here all you need is to paint the wooden frame or tiles in your beautiful colors! 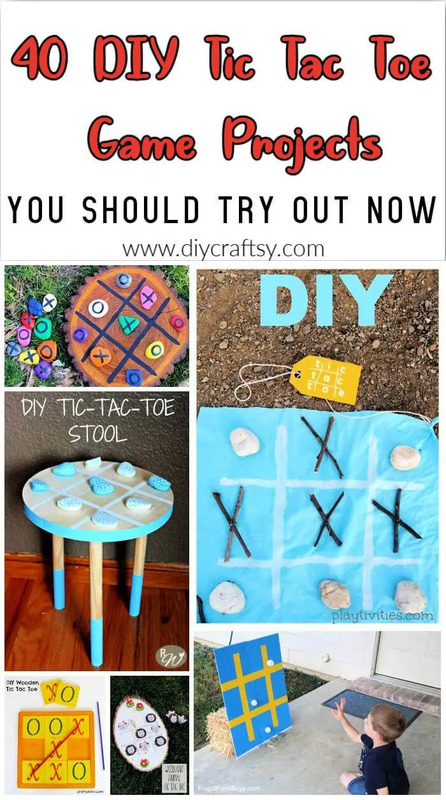 Also trace the game on a coffee table top, on the seat of stool, on a rock or stone board, on blankets, on cutting boards and also on any flat or plain item that comes in touch! 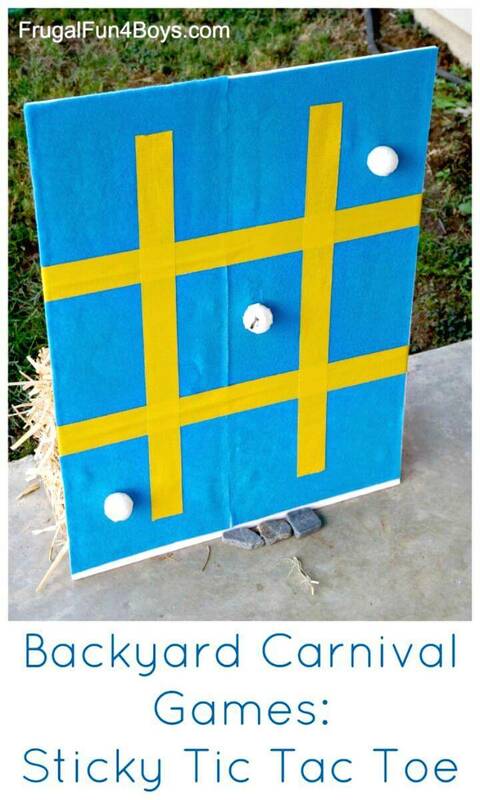 For making game signs, the possibilities are just endless! 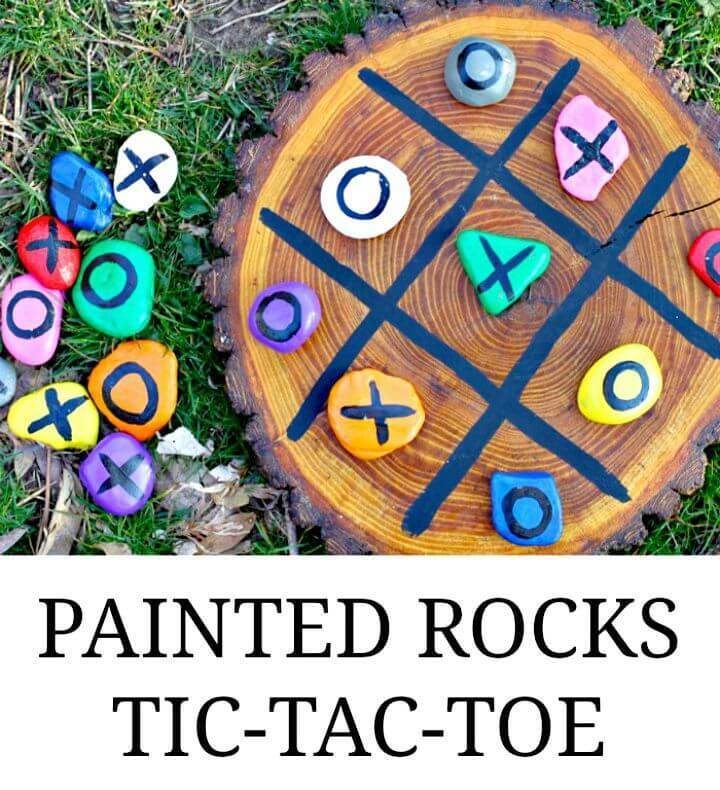 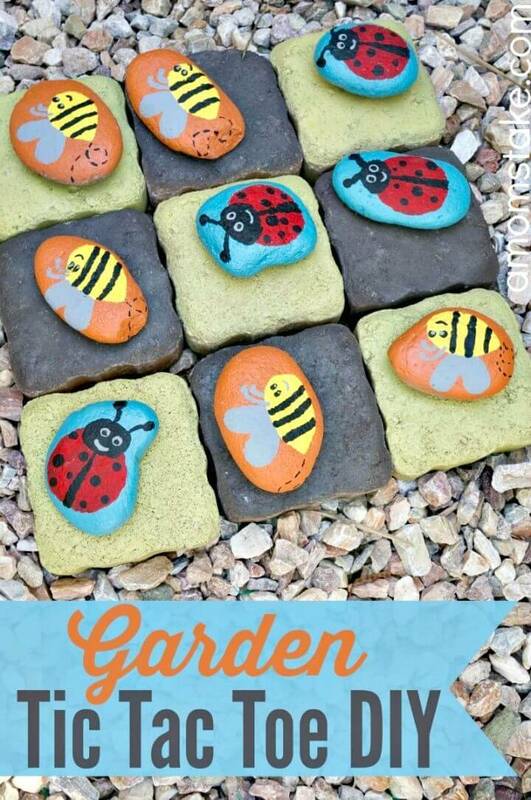 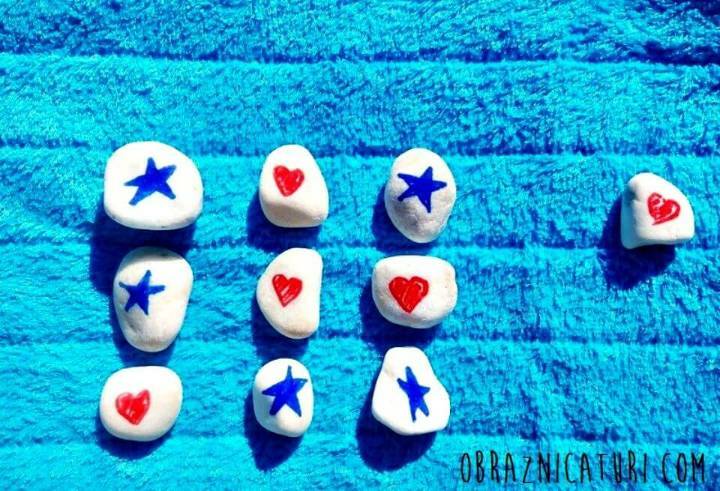 Use the buttons and gems as game symbols or paint the rocks to check out the beautiful game signs, here you can paint custom letters, shapes, and art on the rock, check out some interesting samples given below in the list! 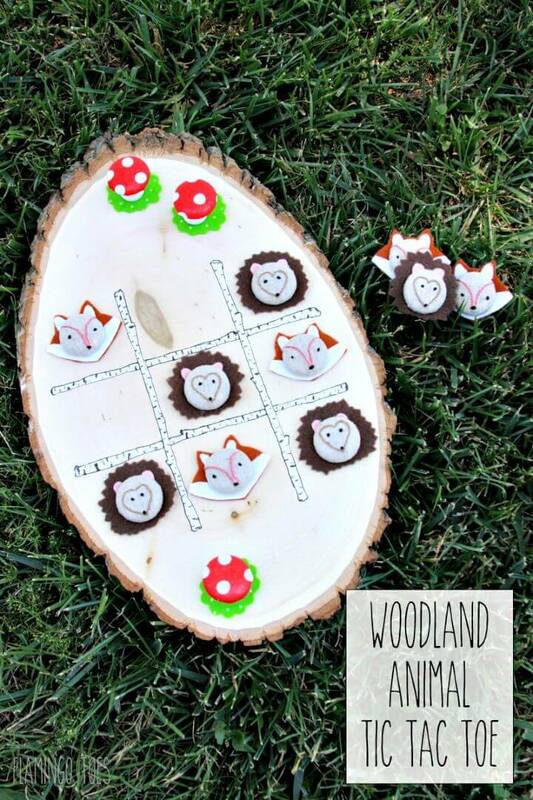 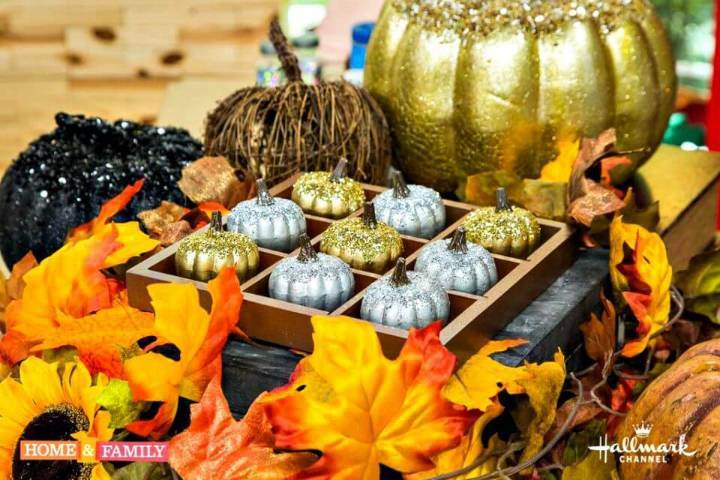 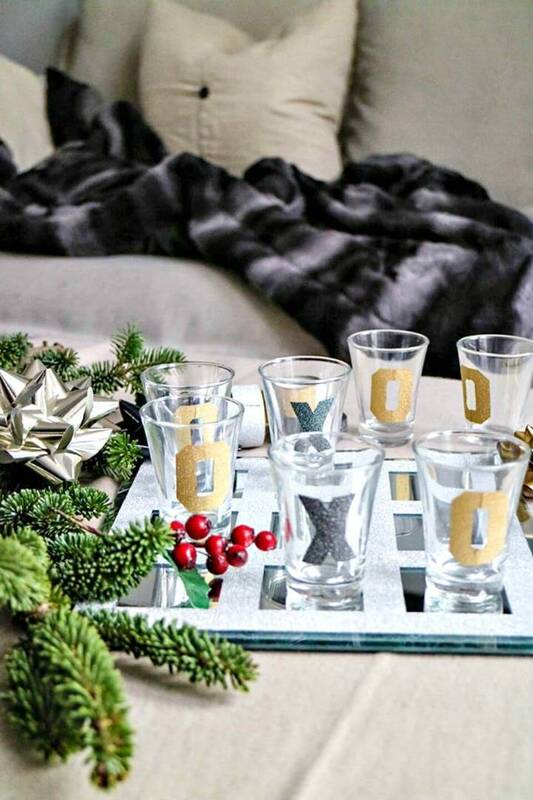 Make the glitter resin tiles to play the games and also grab the tree branches to make rustic game signs! 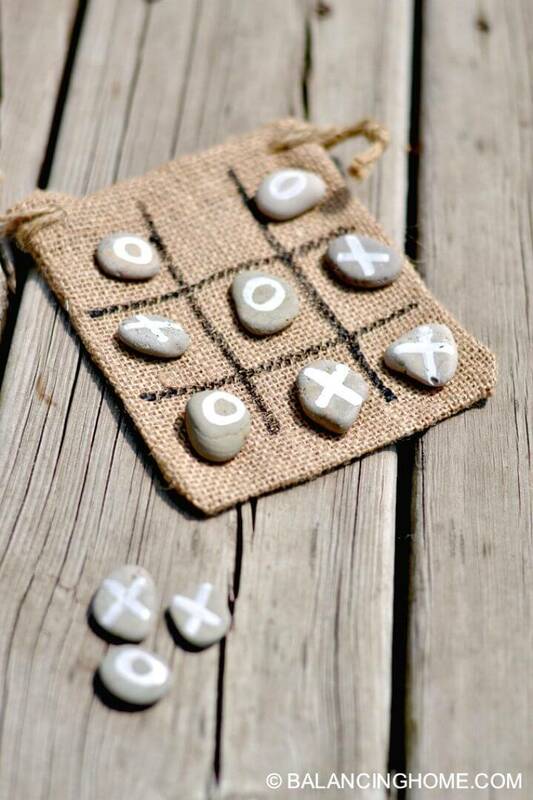 Just check out some fab homemade tic-tac-toe game samples are given below and duplicate your favorite ones that you like a lot! 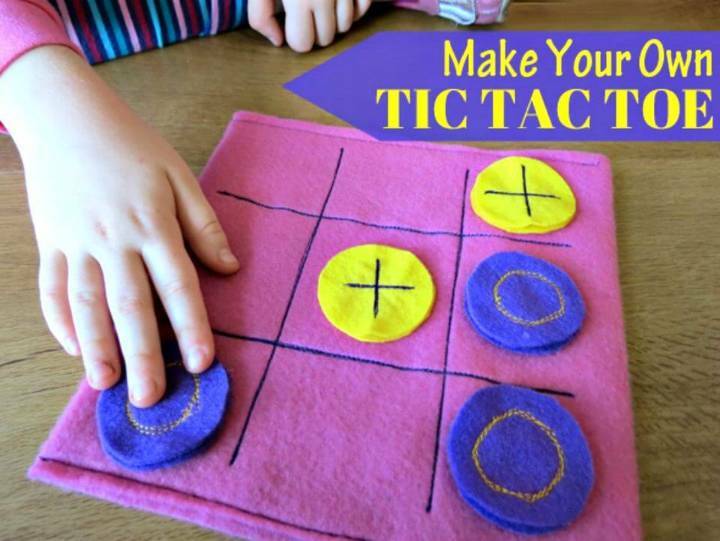 Click once on the attached links to reach to full free guides, visual instructions, and step-by-step tutorials!